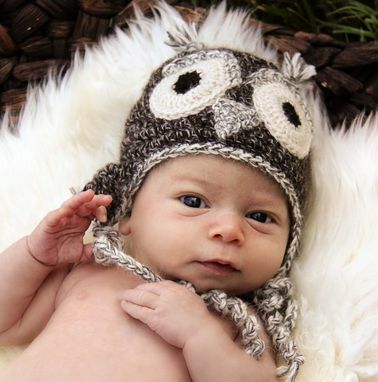 This sweet little owl hat is hand-crocheted of natural undyed alpaca fiber. 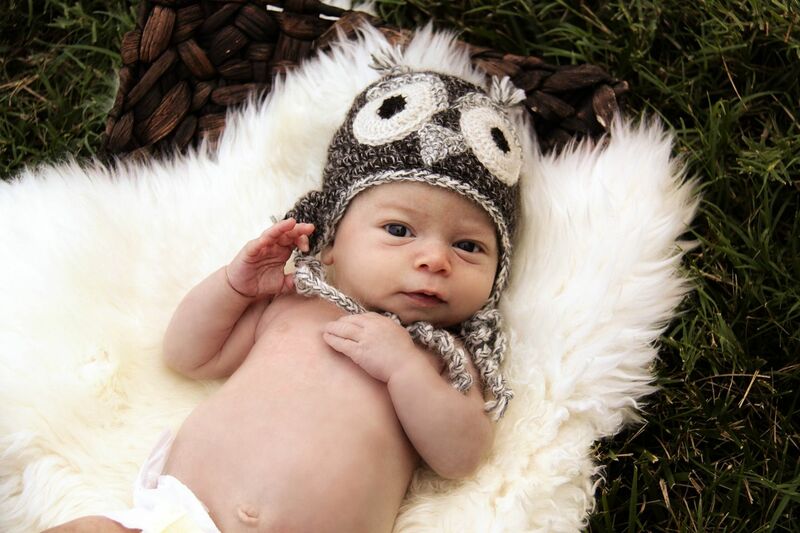 It is the perfect hat for that newborn photo shoot. 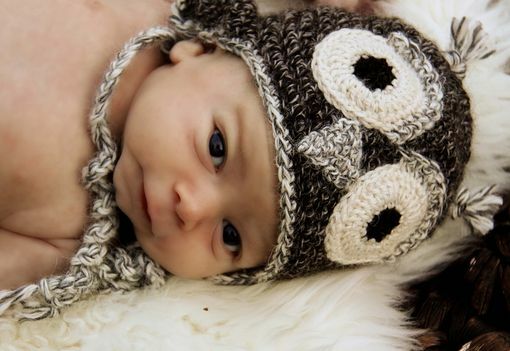 The hat can be made in any size, from newborn to adult. It features earflaps and long braided ties. The hat can also be done in different colors; just let me know what you are interested in!